Pixie Turner stands for a guiltfree relationship with food: No sins and no forbidden carbs! Photo by Pixie Turner. I’m a registered associate nutritionist and science communicator living and working in London! How did you become a nutritionist? What was your journey from wellness to science? I created an Instagram account back when I was 19 and fell into the clutches of the Wellness movement. I started posting the same kind of things that wellness bloggers were and copied their diets. That meant I cut out a whole number of food groups from my diet to try and achieve “peak health,” which ended up having the total opposite effect! 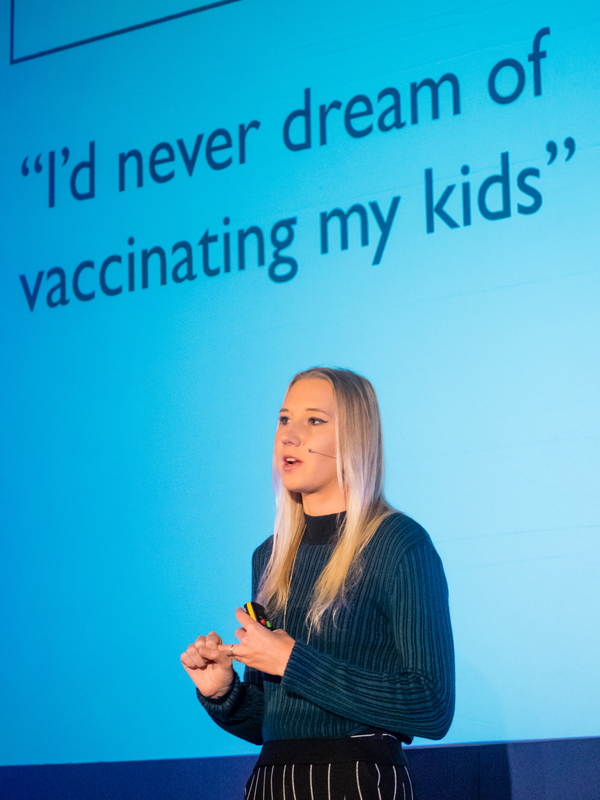 It wasn’t until I went to Australia where one of the wellness bloggers I met said “I would never dream of vaccinating my kids” that something in me switched, and I knew I couldn’t be associated with this movement any longer. I started questioning everything, got angry as hell, and decided to do a master’s degree in nutrition so that I had the qualifications to set myself apart and the knowledge to prove these bloggers wrong. And so I became a nutritionist! I work freelance, so my work is a combination of private practice, where I see clients in clinic one-to-one, occasionally working with brands to advise on the legality of health claims, and science communication through public speaking, social media, and writing books. I also occasionally lecture at universities. It’s very varied, and I wouldn’t have it any other way! Turner often speaks at events about her journey and a science-based approach to food. Here she spoke at QED in Manchester 2018. Photo by Rob M. McDermott. What are some misconceptions about food that you always encounter? So many! For example, people think that there’s one “perfect” diet, or that because something worked for them it’ll work for everyone else. The biggest misconception though is probably that eliminating foods is an easy and risk-free option. It’s not. Elimination of foods should always be a last resort and carries many potential side effects, ranging from physical to mental and social. What’s the most dangerous or weird food trend you’ve heard of? It’s almost impossible to pick one … I once read something by raw vegans that said the reason they no longer have periods is because their bodies are now “pure” and not releasing “toxins,” which is SO dangerous. Losing your period is a sign that your body is not in a healthy place. Aside from that, the cancer ranches that claim to cure cancer through “alkaline” diets and “detox” protocols are incredibly dangerous and should all be torn down. More recently there’s also the carnivore diet, which makes no sense at all considering the one thing all healthcare professionals can absolutely agree on is that eating plenty of fruits and vegetables is good for you. I love going to yoga, mainly for the mental benefits. Being self-employed means finding that work-life balance and switching off can be hard. Yoga keeps me sane. I also really do love food, both making it and going to amazing restaurants to try everything I possibly can! Oh, and I spend a lot of time reading. A lot. I get through about a book every two weeks. Do you ever get threats or weird messages for the work you do? On a weekly basis! When it comes to food and health, people take things very personally and see things as an attack on their identity. Pretty much every time I post anything, someone twists my words and accuses me of saying something I’m not. Certain topics elicit more anger than others though, like sugar or animal products or celery juice. I also get a lot of messages from people telling me incredibly personal details about their life, which I think they often only feel comfortable sharing because of the illusion of anonymity online. Could you name three things about food or the reputation of food that you’d like to change? Food is supposed to be enjoyed; we are literally built to enjoy food. Feeling guilt or shame after eating is not healthy. Carbs are not the root of all evil; they are wonderful things. What would be reliable, evidence-based sources if I want to be informed about eating well? As a general rule, avoid media headlines, YouTube videos, and Googling pretty much anything! Find people online who have legit qualifications, such as registered nutritionists or dietitians. Doctors don’t count; they do not have enough nutrition training and are usually over-confident in their nutrition knowledge (classic Dunning-Kruger). NHS online and BDA factsheets are good places to start. The Rooted Project also has a book out soon called Is Butter A Carb? that is a complete rundown of all the basics of good nutrition. You’ve written several books with another one coming out soon. What are your books about? My first book, The Wellness Rebel, was dismantling myths that are perpetuated by the wellness industry, particularly on social media. It was an attack at all the misinformation I’d been led to believe and then some. 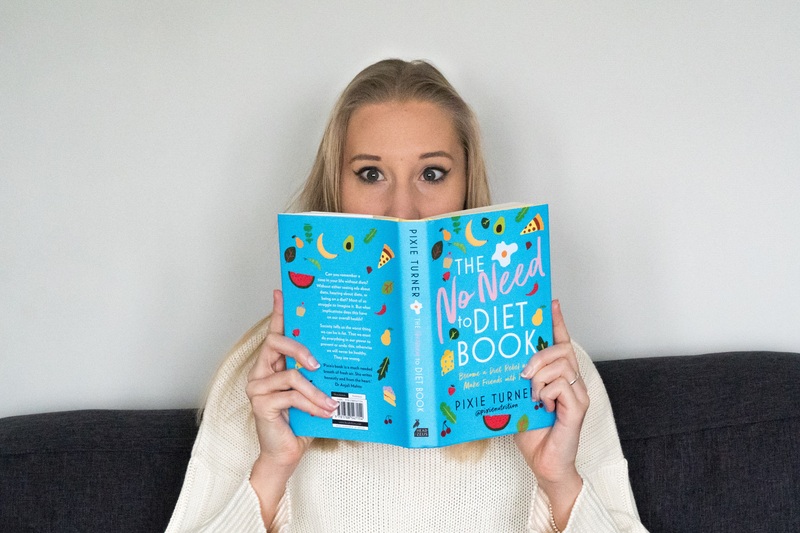 My second book, The No Need to Diet Book, takes a step back to look at the wider concepts of health and the diet industry, which makes billions each year by telling us we’re not heathy enough and never good enough. 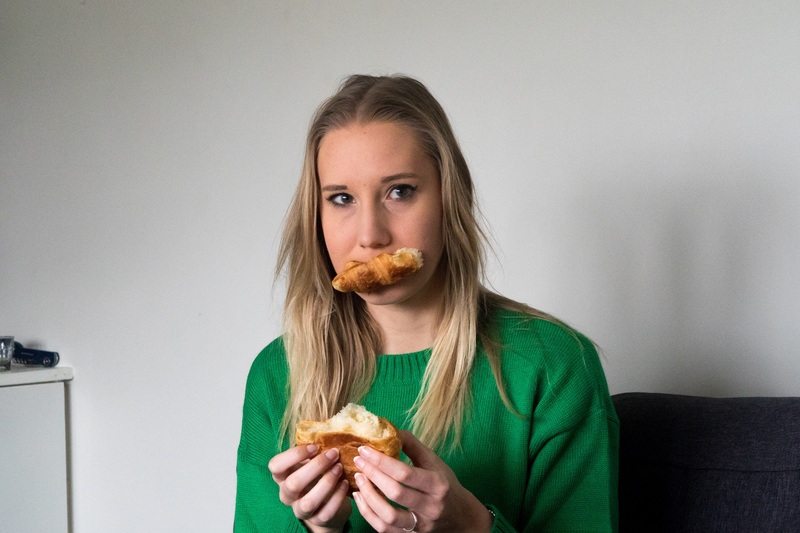 I see so many people in clinic with food anxieties, and seeing as around 80 percent of women and over 50 percent of men are unhappy with their bodies, I want to do my part to help fight that.